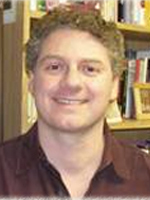 Prof. Waisman received his PhD from the University of California, Berkeley (2000), and an MA in Creative Writing from the University of Colorado, Boulder (1995). He has translated, among others, The Underdogs: A Novel of the Mexican Revolution by Mariano Azuela (Penguin Classics), three books by the Argentine Ricardo Piglia, and three titles for Oxford’s Library of Latin America series. His book Borges and Translation: The Irreverence of the Periphery has been published in English, Spanish, and Italian. In 2000 he received an NEA Translation Fellowship Award for his translation of Ricardo Piglia’s The Absent City (Duke Univ. Press). Sergio Waisman is also the author of the novel Leaving, which he self-translated into Spanish, and published as Irse in Argentina. His latest book is Target in the Night, the translation of Piglia’s Blanco nocturno, published by Deep Vellum in 2015. He is currently translating El limonero real [The Regal Lemon Tree] by Juan José Saer for Open Letter Books and poetry by Yaki Setton. His novel El encargo is in press in Argentina (Mansalva) and Chile (Neón).